Every now and then a female enters my ears and I end up falling in love. This is the case for synth pop band CHVRCHES as front lady Lauren Mayberry is wonderful and looks like an angel sent from above to let us know what the music’s gonna sound like in Heaven. Unfortunately rock and roll is gonna be at the opposite end of the religious destinations so I’d rather go there but still, props to God for letting Miss Mayberry exist here on Earth. Thanks man. Anyway CHVRCHES blew up a storm with their debut album The Bones of What You Believe by delivering some sugary sweet pop music that left us all on the brink of diabetes, and now their new album Every Open Eye looks to be the shot of insulin we all require. Never Ending Circles kicks things off with a heavy beat immediately flooding right out of the speakers alongside some anthemic drums to create an instantaneous wall of glorious, glorious pop music. This instrumental is like if Carly Rae Jepsen’s Emotion experienced puberty, only without ending up looking unfortunate. This track is a great way to reintroduce yourself to your listeners and stays true to the CHVRCHES sound to make things sound familiar again. Yay. 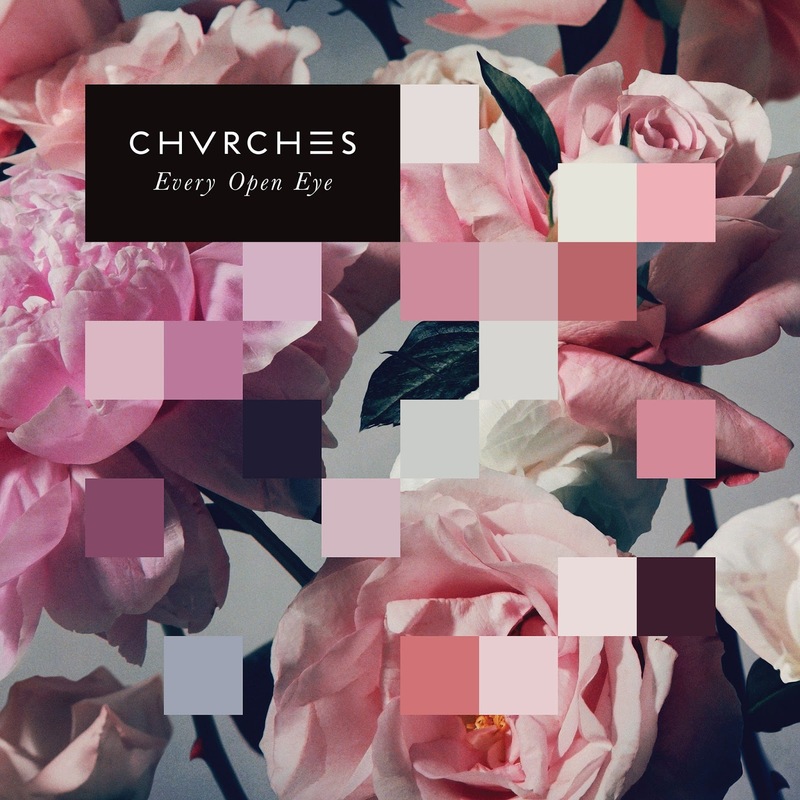 So while things do sound familiar Every Open Eye does feature some of CHVRCHES best material yet. Tracks such as Make Them Gold and Empty Threat are two particular examples that deliver all of the synthesiser goodness alongside a nice slice of emotion to add some much needed depth and personality to the sound while also coming off as standout pop hits for the band. The personal highlight has to be Keep You On My Side though as this track sounds like it could have been a huge hit in the 80s. Goodness me, the amount of free flowing synth that burst out of this track is insane and the band succeed at keeping it flowing forever and at a pace that gets my little white hips shaking oh so much. Superb song. Every Open Eye is another solid effort from CHRVCHES which should cement their status as a new band who know how to deliver on their sound. The record has its fair share of hits but also likes to dig deep to throw some shoutouts to the heartstrings too which is nice. It’s catchy and emotive, and it’s okay to dance to it while crying at the same time too. For more music reviews, free downloads and interviews check out Exploding Head Syndrome on Facebook and Twitter.